These presentation slides 46168 are complete compatible with Google Slides. Simple download PPTX and open the template in Google Slides. 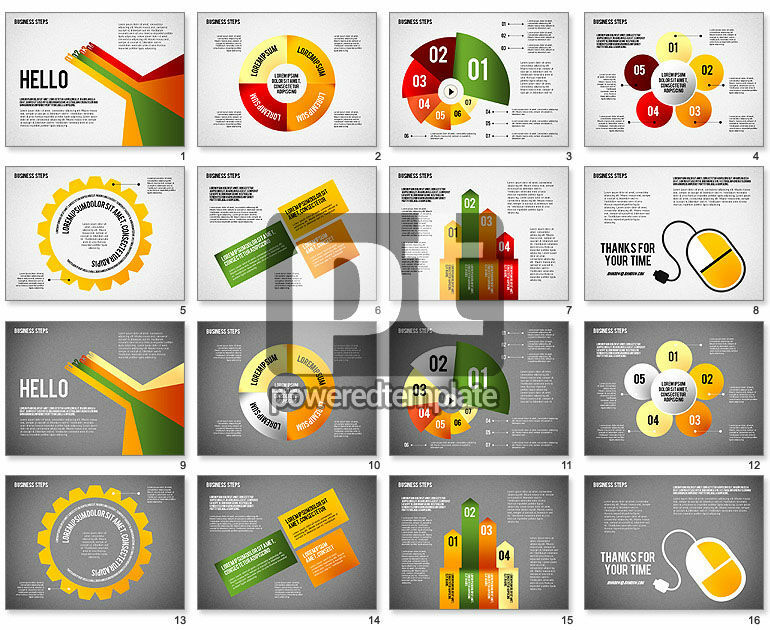 Try this superb theme with a quantity of various colorful items which will make your presentation perfect. It is dedicated to visualization of your information, such as business reports, progress, sequence, growth, action plans, success, etc. With these numbers, arrows and charts on two variants of the background the sample looks rather multipurpose, and the sphere of using it varies widely.